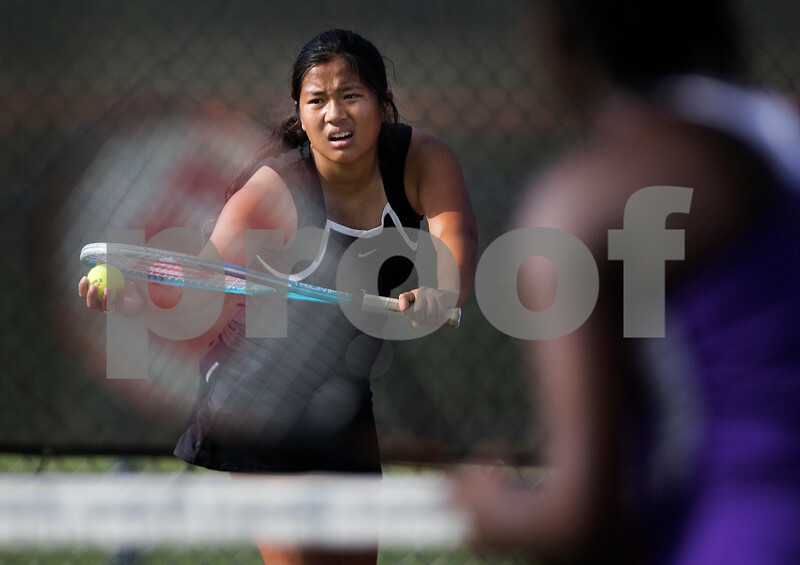 DeKalb takes on Belvidere during their girls tennis match on Wednesday, August 31, 2016 at DeKalb High School in DeKalb. DeKalb's Meghan Hanson prepares to serve the ball to Belvidere's Nat Cortez, not pictured, and Bri Williams, right, during the girls no. 1 doubles tennis match with partner Alyse Mommer on Wednesday, August 31, 2016 at DeKalb High School in DeKalb.